One of the most important aspects of modern programming is concept of reuse of code. Even C programming language allows us to reuse our code using concepts like simple functions and structures. C++ programming language goes one step further and allows us to group related variables and functions into classes with the same purpose - the reuse of our valuable code. By using libraries we can go even further from sharing code inside one process - we can share code between completely different programs. What changes when using libraries? Answer to that question is: "link phase" of your program. In this phase GNU linker links all code modules in fully functional program. 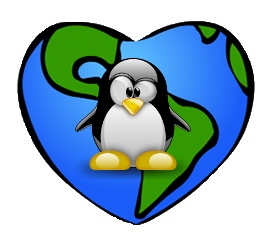 When it comes to libraries on Linux operating system we have two basic concepts: static and dynamic (often called "shared"). In this article series I will do my best to explain both Linux libraries concepts using simple C language examples. This entry was posted in Linux, Linux development and tagged C, Cpp, Development, gcc, library, Linux, POSIX on April 8, 2011 by Marko. 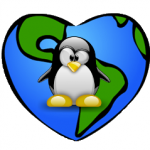 This entry was posted in Linux and tagged Bash, boot, Linux on March 26, 2011 by Marko. The other day I was writing a script that needed to do its job only when specific network interface is triggered (wireless broadband ppp0 in my case). Pinging Google every 10 seconds to detect Internet access was out of the question. There is a more elegant way to do this. If you are interested please proceed. Do you know that authors of Network Manager built option to trigger scripts right into this great application. To use this option you need to write bash script with some specific bash variables and put it to "/etc/NetworkManager/dispatcher.d/" directory. Specific variables are necessary to receive instructions from Network Manager about network interface that triggers execution of your script and should it be executed on "up" or "down" operation on that interface. This entry was posted in Linux and tagged Bash, Linux, Network Manager on March 23, 2011 by Marko. 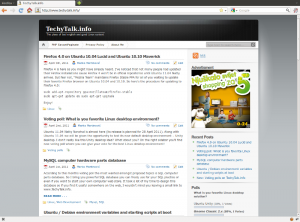 This entry was posted in Linux and tagged Linux, shell, ssh, Web on March 21, 2011 by Marko.